I keep passing this everyday and had to share. Extreme is certainly correct. For whatever reason I find this mind boggling and had to share. No wonder so many poor people are obese and ill. At this price point what else are they going to find in NYC to eat that will be as filling, satisfying and affordable? Some how a $4 head of broccoli doesn’t compare. The entire picture is just so wrong. 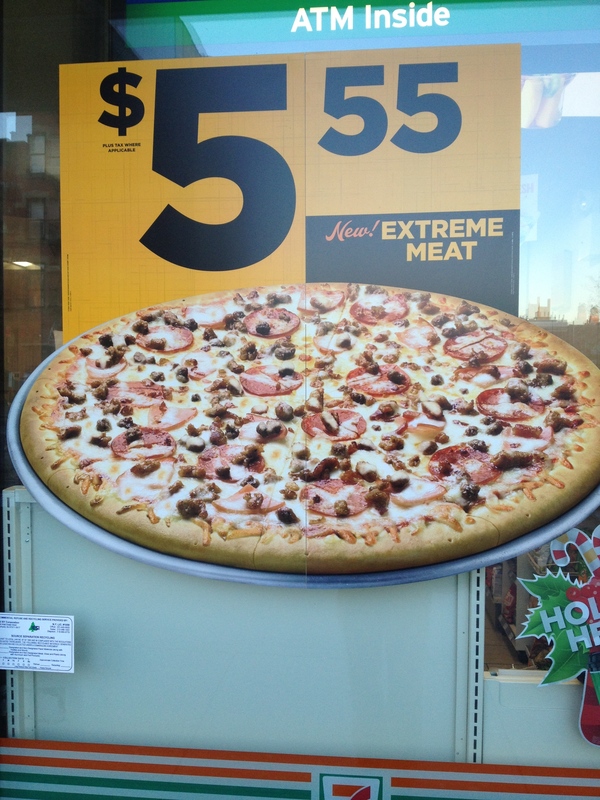 This entry was posted in Video and tagged 7/11, Corporate Food, extreme meat pizza, food desert. Bookmark the permalink.